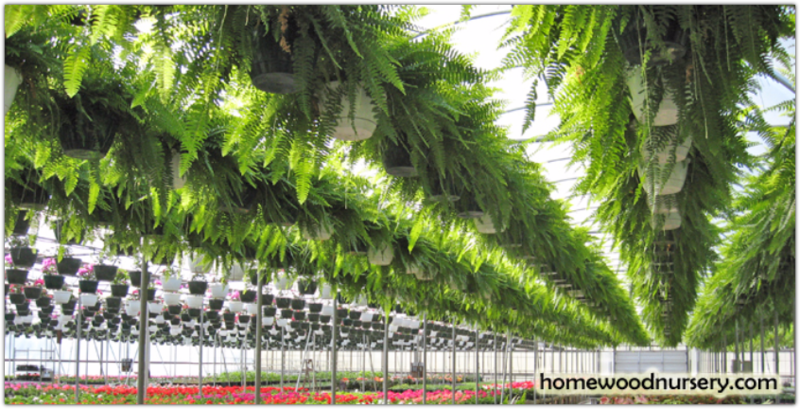 Rent Boston ferns from Homewood Nursery! Home Greenhouses - Own Your Own! Plants add great ambiance and mood to all kinds of events including indoor and outdoor parties, bridal showers, and weddings. Rent beautiful Boston Ferns for your next event! We can deliver and pick up your ferns. Boston Ferns are typically available for rental from April through August. Price: $7 per fern per day. Return ferns the next business day. Saturday rentals return on Monday since Homewood is closed on Sundays. Delivery Available: $75. Includes delivery and pick up. Place Your Rental Request: Call us at (919) 847-0117 and ask for Denise Etheridge or one of the Retail Greenhouse Staff. They can assist you with the rental process and get all the necessary details.